I like watching sports as much as the next person. Ok, so I don&apos;t really watch it on my own in my free time (unless the Bears are playing! ), and I practically fall asleep when some sports are on TV.....(aka golf), but there are a few times when I can actually be interested in watching sports. Cue in the Rockford Ravens rugby team. I went to my first Ravens rugby game a couple weeks ago. 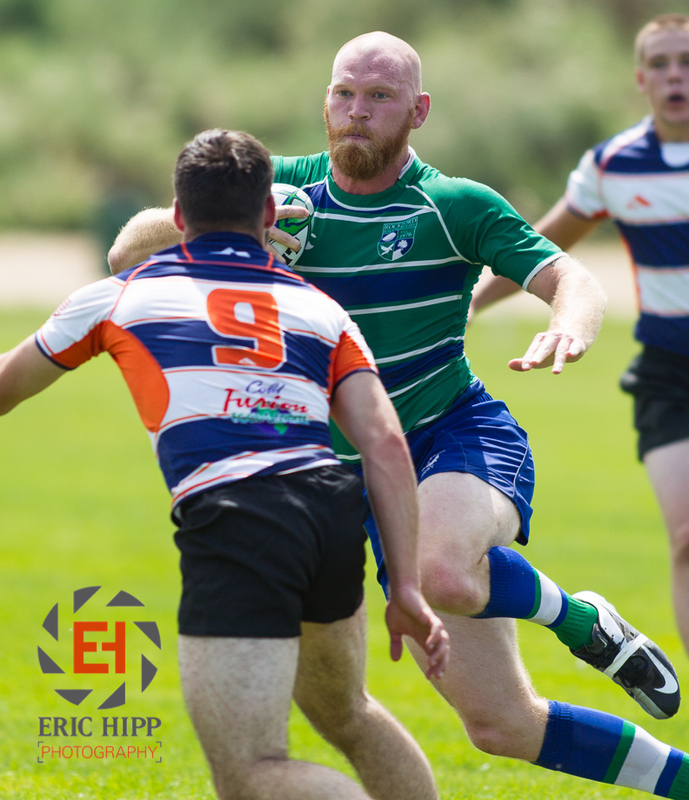 Last summer, I had gone to a high school state championship for rugby at Sportscore Two, so I had a little idea of how the games play out. But watching an actual game by the Ravens (as opposed to a high school team) was a little more intense. I would describe rugby as a mash-up of football and wrestling...without all the protective gear and padding. The Ravens effortlessly form into position where they all link together and push against the other team (also all linked together) to try to gain possession of the ball (this is called a scrum). Then they spread out across the width of the field and swiftly toss the ball from one person to another to try to make it to the end of the field to score. Fun fact: the players need to pass the ball BACKWARDS because forward passing is illegal. (But kicking the ball downfield is allowed!) It&apos;s hard NOT to be engaged in the excitement of the game when both teams are charging across the field. The excitement really builds up when someone finally breaks away and sprints for the goal line (called the "try" line). 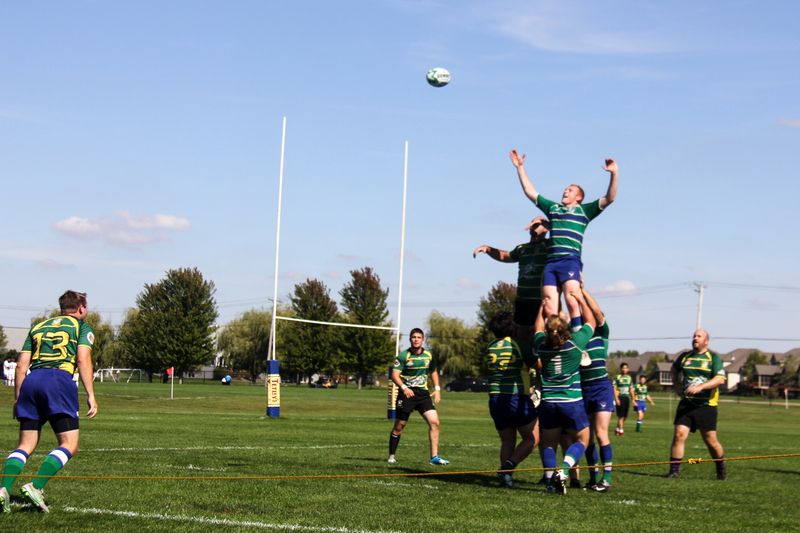 But I think the best part of a rugby game is when the ball is coming back into play on the field and one team member from each team is lifted off the ground by other team members to try to claim the ball (this is called a "line out"). Yep, you heard me. Someone is In. The. Air. You can&apos;t watch something as epic looking as this if you&apos;re watching golf! 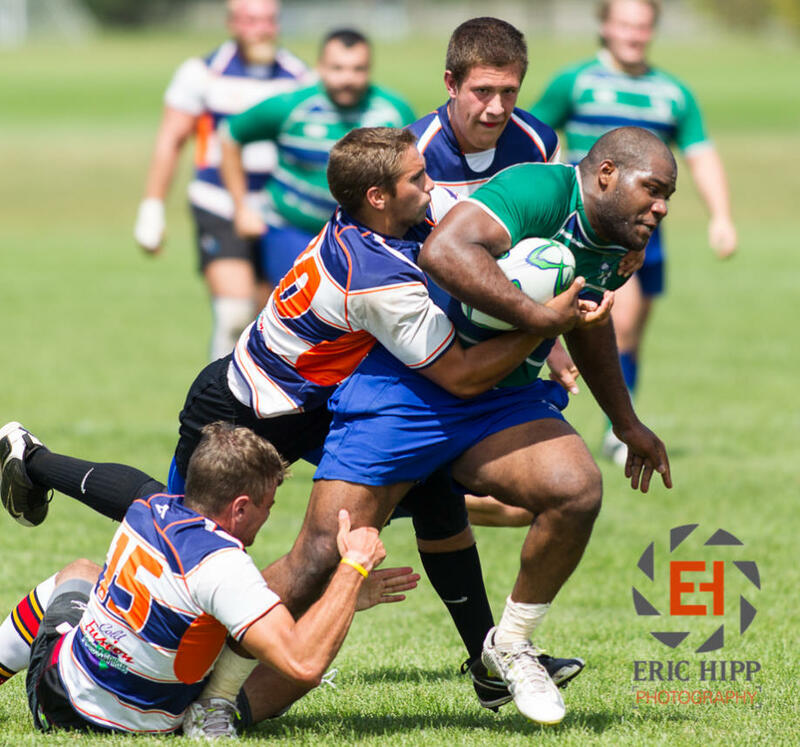 Did you know that the Rockford Ravens rugby team is one of the oldest active clubs in Rockford? They&apos;ve been around since 1976! Today, they now have groups at the men&apos;s senior level, a high school level (for both boys and girls), and are forming a youth level for middle schoolers. Feeling left out ladies? No worries! The Ravens also recently formed a group at the women&apos;s senior level! You can find the Ravens at their "home bar" at 2nd Cousins where they go after practice on Tuesdays and Thursdays and after home games. Socials are part of rugby tradition and culture, where the home team feeds the visiting team, shares drinks, sing and talk with one another after a hard fought game. (Sounds like a good time to me!) Lucky for you, there are still some Ravens games left this season! Don&apos;t miss their homecoming game at Sportscore Two on Saturday, October 3! The games are FREE to watch, so bring a chair and get ready for some epic rugby action!